Do you assume rent increases are simply a fact of life? The truth is that you're not wrong, but you might be surprised to learn it's not an arbitrary process. Our Springs leasing team shares some of the more important reasons why yearly rent increases may be necessary. You know only too well that your own cost of living goes up on a regular basis. Inflation and other market factors combine to create price increases in goods and services, which in turn drives up salaries. Landscaping, insurance, common area utilities, pest control, and parts and equipment are only a few of the expenses management is responsible for. Rent increases help to cover these expenses in order to maintain the superior standard of living at our Springs luxury apartment communities. Our Springs apartments include upscale features such as designer appliances, hardwood-style flooring and granite countertops. We take pride in the clean and contemporary appearance our apartments offer to current and prospective residents. Homeowners have the burden of handling regular and emergency upkeep such as painting, plumbing repairs and appliance replacement. Springs Apartments have skilled maintenance teams that can be contacted 24/7 for prompt response. We are required to pay the same taxes that apply to other employers and property owners. Since taxes are one of life's certainties, you can be sure that they go up every year as well. Outstanding customer service is an integral part of the Springs Apartments Pledge. We are always looking for ways to meet and exceed our residents' expectations, and that includes providing amenities and benefits that improve your comfort and satisfaction. Our luxury apartment communities are located in great neighborhoods, making them particularly desirable to potential residents. It's Economics 101: Heavy demand leads to limited supply, resulting in higher prices. 6. 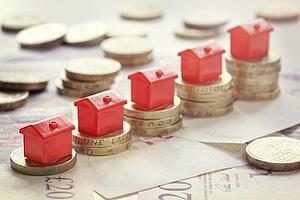 Can You Limit Rent Increases? Signing a lease locks you in at a rent that's lower than the month-to-month rate, and it can't be raised during the term of your lease. We extend lease renewal offers to residents 80 days in advance of expiration, and you have two weeks to accept. The offer may or may not increase after the two-week period, so it benefits you to renew your lease as early as possible. Do you have more questions? Our friendly on-site management team is always ready to help.